If you are planning to be married soon, there are many things to tend to. Your event must be properly planned and all details taken care of. This could be the most important day in your life. You want everything to be perfect, and nothing ruins a beautiful ceremony and reception like transportation problems. That is why so many people turn to wedding limousine services. It is very easy to hire a good limo service to take care your transportation to and from the event. Many people like to leave the ceremony in a beautiful luxury automobile. This makes a good impression on guests. Wedding pictures and videos are very important. It is best to hire a professional photographer and when you have a beautiful limo in the photos, it makes for an impressive album. After all, this is a once in a lifetime occasion, and your children and grandchildren will look at your album someday. Perhaps you would like to provide transportation for everyone in the party. That is not a problem, as the top limo companies have stretch limos, SUV vehicles, and even buses. No matter how many people are in the wedding party, you can provide top quality transportation for them, and they will greatly appreciate it. Wedding limousines are excellent for airport transportation. For example, you might have out of town guests flying in for the event. It would greatly enhance their experience if they are picked up in a luxury car. The driver helps them with their luggage and provides them with a comfortable ride to their destination. This makes it easier on guests from out of town, as they will not have to drive in airport traffic and become stressed. Perhaps you have picked the perfect romantic getaway for your honeymoon. With a top limo service, you can leave the reception and head straight for the airport. No need to place your car in long term parking and walk a long ways to check in. Your limo drops you off at the curb for maximum convenience. Bachelor and bachelorette parties are traditional for most people. If you are thinking of throwing a party for your "soon to be married" friend, consider the many benefits of a top quality limo service. This is the best way to insure that everyone has a great time and they do not have to worry about driving a vehicle after consuming alcohol. You can plan your entire bachelorette or bachelor party around the limo service if you wish. Many companies have special packages just for these events. In fact, you may wish to hire a party bus for the evening. Some buses offer food and drinks and they will take you anywhere in town that you want to go. This way, you can travel about town in style. There are many excellent reasons to hire a good limo company for your wedding. They are perfect for picking up guests from the airport and transportation after the event. 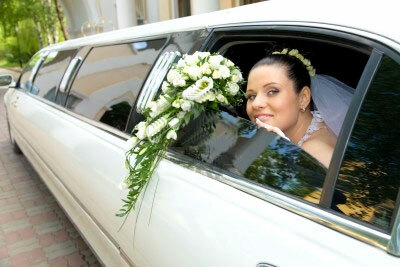 Weddings are special and if you want to go first class, consider a good limousine service.